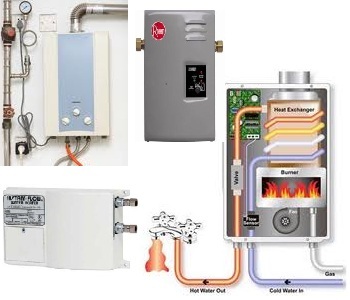 A Brief Look At Tankless Water Heaters – Is This An Option For Your Household? In the last five years, more and more people have opted for tankless water heaters. What are these? As it sounds, they are water heaters with no tank. 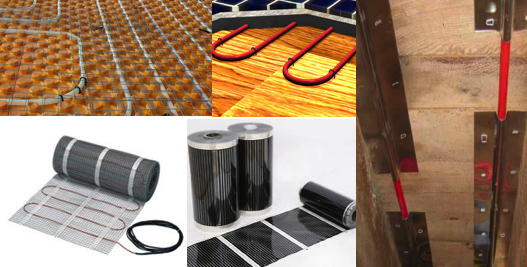 Many heating system companies have seen an increase in sales over the years. These are compact water heaters that are mounted on a wall on the inside or outside of a home and supply its occupants a nearly unlimited supply of hot water. Europeans have used this type of heaters to supply their hot water for years. And, many folks feel that in the next 10 years, Americans will follow suit and install tankless heating system in their home. Tankless water heaters can be found in both propane and natural gas models. Electric tankless heating units are beneficial over tank type electric models. However, a limited number of them have the capacity needed to serve several fixtures in the home. In fact, they may demand a larger electrical service to make them work. Thus, the majority of builders don’t typically use them in new construction. 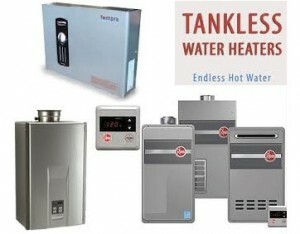 Tankless water heaters are good in small homes, apartments and condos where gas isn’t an option. These kinds of water heaters have sensors and computer boards that monitor water flow, which also allows them to work on demand and alter the firing rate to supply the hot water needed for the present demand. In short, it means they don’t burn as much gas supplying hot water to a sink or tub then if the hot water had to go to multiple fixtures at once. This firing rate makes them extremely efficient to work since you’ll only use the fuel amount you need. Tankless heaters should not be considered instantaneous. It doesn’t take more than a couple of seconds for them to work and begin generating hot water. However, consumers won’t get instant hot water at every outlet in the home. The majority of homes have lots of piping between the outlets and the heating units, and they also don’t have a recirculating system. The time it takes from the opening of a faucet to when the water gets hot is known as the Lag Time. It’s not uncommon for lag times to extend beyond three minutes especially in large homes that have low-flow fixtures. Also, changing the kind of heating units or replacing the entire system you have won’t improve the water delivery speed unless the area where the heat is at is changed or there is a recirculating system put in. Due to their extremely small size, when a tankless heating unit takes the place of a tank, it can be moved into an area that’s more central or nearer to the fixtures it will serve. This can reduce the lag time the household experiences. Due to their small size, they take up virtually no floor space. They also don’t need protection from vehicles if placed in a garage and they can be placed in attics or crawl spaces. If space really is an issue, consider installing the tankless water heater outside… just remember to find one that’s designed for the elements outside.